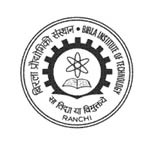 Birla Institute of Technology, Patna is a private and self financed college in Patna. it is a constituent campus of BIT Mesra. It was established in the year 2006. Birla Institute of Technology is affiliated to BIT Mesra and approved by AICTE- All India Council of Technical Education, New Delhi. BIT, Patna is the renowned institution for the management and engineering education. Birla Institute of Technology spread over in 25 acres of land stretch between Bihar Veterinary college and Jai Prakash Narayan International Air port. College is well-connected by road, rail and air network with all major part of India. The campus has more than 86 faculty members from all departments. The campus is an extension of BIT Mesra and providing the all needed facilities same like main campus like, transportation, labs and workshop, computer centre, library, canteen, seminar hall, sports facility and separate hostel for boys and girls. The college celebrates the annual day, engineers day and technical festival named “technika” festival. The students participate actively in all events.